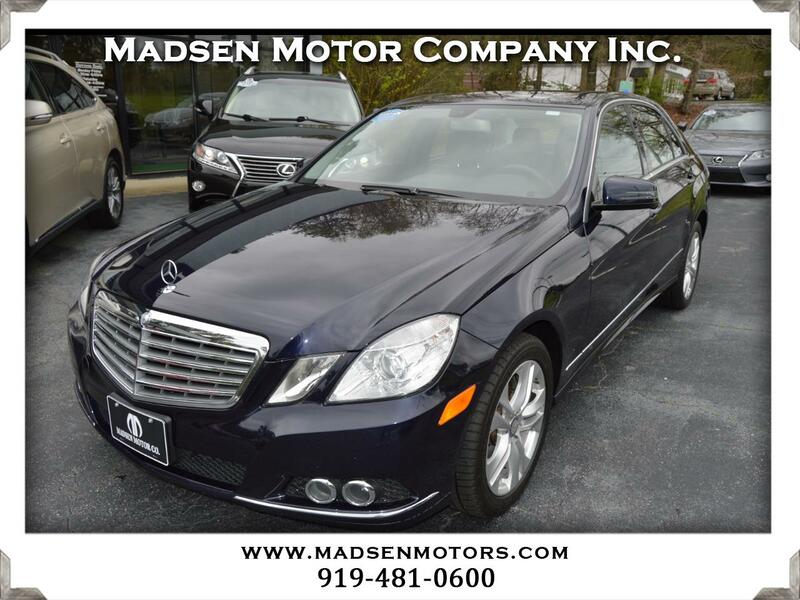 Used 2010 Mercedes-Benz E-Class 4dr Sdn E 350 Luxury RWD for Sale in Raleigh, Durham, Cary NC 27511 Madsen Motor Company Inc. Here's a super-clean, low-mileage 2010 Mercedes E350 Luxury Sedan that we took back in trade from some long-time customers of ours. This exceptional car is Capri Blue Metallic with Black MB-Tex interior and Burl Walnut Trim, has only 66k miles, and is equipped with the 268-HP V6 Engine with 7-speed Automatic Transmission. It comes with Glass Sunroof, Heated Front Seats, Bluetooth Connectivity, 17" Alloy Wheels, Paddle Shifters, Rain-Sensing Wipers, Universal Garage Door Opener, Split Folding Rear Seats, Dual Power Seats, Dual Zone Climate Control, and much more. This car had a major service (including transmission service) within the last 10k miles and it comes with a clean CARFAX history and 3 months/3,000 miles (whichever comes first) of coverage on the Engine, Transmission, and Drive Axle Assemblies with a $100 deductible per repair visit. Buy with confidence from Madsen Motor Company - voted ''Best Pre-Owned Car Store'' 4 years in a row in the Best of Cary awards!